Theodore J. Cachey Jr., the Albert J. and Helen M. Ravarino Family Director of Dante and Italian Studies at the University of Notre Dame, has been named the inaugural academic director of the University’s Global Gateway in Rome. The appointment, effective July 1, was announced by J. Nicholas Entrikin, vice president and associate provost for internationalization. The Rome Global Gateway, based in a newly renovated building on Via Ostilia within two blocks of the Colosseum, serves as the focal point for academic, cultural, and and Catholic mission-related endeavors of the University in Rome. Notre Dame’s presence in Rome dates back nearly five decades, through faculty research and student programs of the School of Architecture’s Rome Studies Program. It has expanded over the years through participation of other colleges and schools, most notably, the College of Arts and Letters. As the gateway’s director, Cachey will work with Notre Dame colleagues—and other partners from across Italy, Europe, and elsewhere—to increase the University’s engagement in the world through student programs, research, scholarly conferences and events, and a variety of outreach initiatives. He is charged with ensuring the overall quality, diversity, and integrity of the programming at the facility. Through Notre Dame International, the University also maintains Global Gateways in Beijing, Dublin, Jerusalem, and London. Warren von Eschenbach, who has been serving as interim director of the Rome Global Gateway since November 2013, will continue in his role as assistant provost for Europe and as director of Notre Dame’s London Global Gateway. 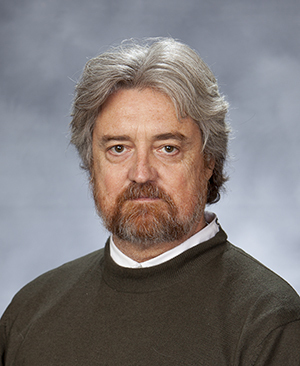 A professor of Italian, Cachey also currently serves as director of Italian Studies at Notre Dame and as director of the William and Katherine Devers Program in Dante Studies. He earned his B.A. from Northwestern University and his Ph.D. from the University of California, Los Angeles. His primary research interests are in Italian Medieval and Renaissance literature (particularly Dante, Petrarch, and Boccaccio), the history of the Italian language, and the literature and history of travel. Originally published by Notre Dame News at news.nd.edu on June 12, 2014.